PSA has always tried to provide more than just authentication and grading to the hobby; the company has made a concerted effort to offer things such as articles, guides and the set registry to enhance the collector experience. It's an important part of keeping collectors interested and active in the hobby in addition to finding new collectors to join in the fun. PSA has just released a free online game entitled PSA CardSlugger which the company hopes can add another layer of fun for those who collect and, maybe, for those who don't... at least, not yet. Collecting is about having fun. That is why most people choose this endeavor. It's about escaping from the daily grind and surrounding yourself with the things you love or care about. If you can disappear in this fantasy world of collectibles for a while, it might take your mind off a source of work stress or provide a needed distraction from a tough time in your life. In the following editorial, PSA's Joe Orlando talks about the appeal of the collecting experience, games and how something simple like PSA CardSlugger could provide some much-needed fun. The market for vintage hockey cards has been strong in recent times. In the vast majority of cases, hockey cards for the prewar era through the 1950s and 1960s are far tougher to locate than baseball cards from the same period. When you consider the huge difference in condition scarcity, the gap in difficulty grows even more. 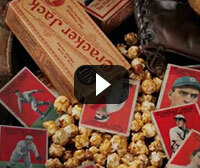 The 135-card 1936 World Wide Gum set is one of those extremely tough issues. Larger than many hockey sets from the period, this black-and-white set is filled with the stars of the generation. Key cards include those of legends like King Clancy, Eddie Shore and Howie Morenz. This year's winner is one of only two sets to ever reach 100% completion, and it possesses nearly a full point lead over #2 on the All-Time Finest list with a GPA of 6.35. Click here for a look at this great set. 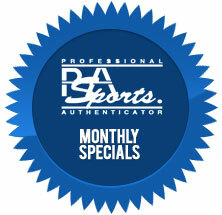 All Sports & Non-Sports Cards - $25 per Item/No Minimum - 5 Business Days (approx.) Click here for details. Offering an eclectic and enticing mixture of lots from Sports, Hollywood, Rock and History, Iconic Auctions' Autographs & Memorabilia Auction is set to close this Saturday, December 14th. Lots for this sale can be viewed and bid on by going to the company's website, www.IconicAuctions.com. The snow may be in the bullpen across much of the country, but Memory Lane has put some hobby aces on the mound and set its sights on the summer game, because excitement is in the air with the Winter Extravaganza Catalog Auction. Hot on the tail of its recently completed October 2013 catalog auction, Colorado-based Mile High Card Company is happy to announce its annual holiday Premium Catalog auction, set to culminate on December 19, 2013. PSA Authorized Dealer Steve Novella (Estero, FL.) is holding a Pre-War only auction of 200+ PSA Graded cards, selling each card on eBay ending today, Tuesday, December 10th. Unopened Bell Brand Koufax Highlights Huggins and Scott's December 2013 Auction. Ends This Thurs. Dec 12. Huggins and Scott's sixth and final Masterpiece Auction features another amazing array of sports and non-sports items that caters to every level of collector and investor. Whether you only want to spend a few hundred dollars or several thousand dollars, our selection of quality items has a little something for just about everyone. Of the following New York Yankee legends, which one's collectibles have been impacted most as a result of the team affiliation?